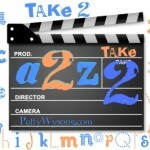 Patty Wysong, a wonderful lady I’m blessed to call my friend, has restarted her A2Z meme for the new year. Starting today we, her, I and a myriad of others, will be blogging subsequent letters of the alphabet. 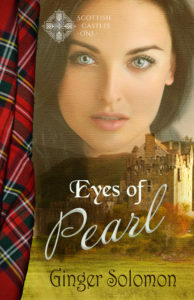 You can go to Patty’s Blog to see her post and find others who link there. Grab a cup of your favorite warm drink, and enjoy. Adam, the most awesome alligator alive, lived in Florida. After all, the Everglades were a mighty fine place to live. The warm water washed over his body as he lay on the beach sunning himself early one fine August morning. Afternoons grew too hot and Adam hated to be hot. It agitated him and made him angry enough to chase even old Albert, the oldest, largest alligator around. Adam limped away, nursing his sore foot. He’d never seen Albert so angry. As he lay in the shadows of a grove of trees, Adam’s friends came and teased him about getting hurt. Adam got angry, but his leg hurt too bad to do anything but hiss at his friends. At that moment he realized they weren’t his friends at all. They laughed at him and teased him, but not one of them asked how he felt or if he needed a lump of meat to feel better. A few days later, with his foot on the mend, Adam went in search of Albert. He crawled to Albert’s side, far enough of away to not be a threat, but close enough to talk. Albert, the old alligator, took Adam and showed him lots of tricks about catching prey and staying away from traps. He showered love on young Adam by investing time and effort into him. Many years later, long after old Albert had eaten his last meal, Adam turned on a young whippersnapper alligator named Arnold. Several days later, Arnold came and apologized to old Adam and Adam in turn taught Arnold all the things he’d learned in his lifetime. I hope you enjoyed my A post. Would you leave a comment and tell me how God spoke to you through my story? Oh I like!! =] I love kikds’ stories!! =] Fun! !